After Michael Kenneth Williams wasn't able to return for reshoots his role was cut from the film. There are some amazing Black actors in the Star Wars movies, which is a far cry from the handful that used to be there. One of the most prominent is Lupita Nyong'o as the CGI wise woman Maz Kanata. It looks like the movie is going to have one less. When Ron Howard took over directing the solo Han Solo Star Wars movie from Phil Lord and Chris Miller he asked some actors to return for reshoots. "I felt great about what I created with the directors that I worked with," Williams told Deadline, "It is what it is." "When Ron Howard got hired to finish out the film, there were some reshoot issues that needed to be done in regards to my character, in order for it to match the new direction which the producers wanted Ron to carry the film in,” Williams said. "And that would have required me on a plane a month ago to London, to Pinewood, to do reshoots. But I’m here, on location in Africa. It’s scheduling. I’m not going to be back on the market until the end of November after [his SundanceTV series] Hap and Leonard, and for them to wait that long for me, that would have pushed back the release date, which I believe is in May 2018. They wanted me now; I couldn’t go. So they had to clip-clip-clip." We don't know anything about the character, but Williams says he was playing a half-human, half-animal in the film and that they "created a kick-a** character, in my opinion. I’m proud of it." Howard took over from Miller and Lord in late June after the duo left the project due to creative differences. Production resumed in July, and Lucasfilm and Disney still are targeting their original May 25, 2018, release date. Alden Ehrenreich stars as Han Solo and Woody Harrelson, Emilia Clarke, Donald Glover, Thandie Newton, Phoebe Waller-Bridge and Joonas Suotamo co-star. Williams isn't bitter to lose a Star Wars role though. "I don’t think that me not being in the Star Wars family is final," Williams said. "I left with a very good taste in my mouth about the whole family, and I hope that I left a good taste in their mouth. They’re a great group of people, the Lucas family." It's surprising they can cut an entire character from the film, but that's either amazing editing or his role was fairly small. 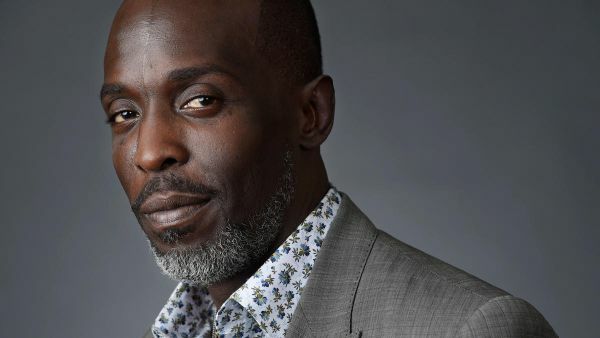 Michael Williams has done amazing work including Omar Little on the HBO drama series The Wire and was nominated for a Screen Actor's Guild award for 12 Years a Slave. Hopefully, his scenes will show up on the Blu-Ray or they'll cast him as someone else in the Star Wars universe. What do you think of Willams character? Do you think he'll be missed? Does this mean anything for the production of the film? We love your comments! But please be mindful of our comment policy . This movie has had some serious issues. I guess there's really nothing they could do with the scheduling problems. Except not to have needed reshoots to start with.